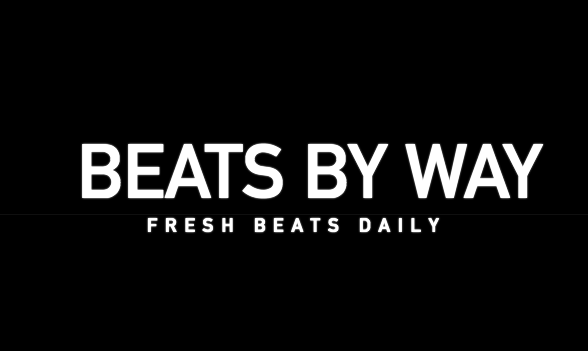 One of the aims for BeatsByWay is to highlight fresh exciting music. ‘Artist In Depth’ will be a series of posts highlighting the artists behind the music. I am kicking off the series with a Chicago Rapper, Mari. I came across Mari’s – Living Coloured track on my Soundcloud last week and loved it. Demarius “Mari” Edwards began his music career at Williams College. The Chicago-born rapper/singer/producer, is still relatively new to the music scene but is rapidly growing. I have read up on Mari and you can just get a real sense of the guy’s passion for what he does. You can hear in everything Mari puts out that there is deep meaning behind the lyrics. He thinks about the bigger picture stuff and tackles a lot of real issues. Since the album, Mari has consistently been producing and releasing tracks including a series called #MariMondays. This entry was posted in Artist in depth, Discover, Rap. Bookmark the permalink. This entry was posted in Easy Listening, Flip and tagged Abraham Blue, Magic Flower. Bookmark the permalink. Another shorty, this time from s7eelix, a beat maker based out of Detriot, Michigan. Don’t know much about s7eelix a.k.a Brandon Phillips but liked this beat. Enjoy ! This entry was posted in Beats, Rap. Bookmark the permalink. Track from HXNS posted on his mess about sc account. Absolute tune with the Jay Z sample. Wish this was a full track but still 1.28 of this heat is better than nothing. Lou Phelps and KAYTRANADA have been on point with there last 2 tracks together and their latest doesn’t let up. This entry was posted in Boucin' and tagged Kaytranada, lou phelps. Bookmark the permalink. LUPE & LUN all over it. Lupe Fiasco pairing up with TEK LUN on the beat. Surprise release from lupe while he’s working on his forthcoming album DROGAS Wave. This entry was posted in Boucin', Rap and tagged Lupe​Fiasco, TEK.LUN. Bookmark the permalink. This entry was posted in Beats, Boucin' and tagged j.robb. Bookmark the permalink. Ordnry Ygnstr a.k.a Jayden, a 15 y/o from Columbus, Ohio made this beautiful beat. This entry was posted in Beats, Discover and tagged Ordnry Ygnstr. Bookmark the permalink. This entry was posted in Rap and tagged Suppa Gucci. Bookmark the permalink.